Lectures before national and international plastic surgery meetings. After Medical school, Dr. Clark felt a commitment to serve as a medical missionary. He became certified by the American Board of Family Practice and worked among the Navajo people in New Mexico and Arizona. Returning to academia, Dr. Clark added five years of specialized surgical training and achieved his second Board Certification in Otolaryngology, Head and Neck Surgery. After which he completed two years of Residency training at the University of Utah which is well recognized for excellence in Plastic Surgery. He subsequently received the highly valued Certification from the American Board of Plastic Surgery. The American Board of Plastic Surgery is one of the most demanding of specialty boards which carefully scrutinizes plastic surgeons for two years after residency followed by extensive oral and written examinations. The American Board of Plastic Surgery is an eighty-year-old institution which is the only board of plastic or cosmetic surgery that is recognized by the AMA (American Medical Association) and the American Board of Medical Specialties. 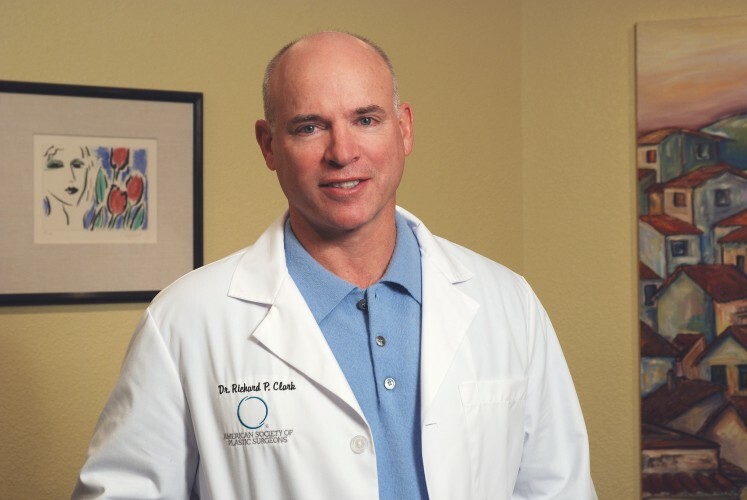 Dr. Richard P. Clark lives in Sacramento, California with his family. He has served the community as a Board Member of the Rotary Club, through which he has focused on anti-drug programs in Sacramento High Schools. He is a former Gymnastics Champion and is a Portrait Artist. These artistic skills remain an important part of the exacting nature of plastic surgery.